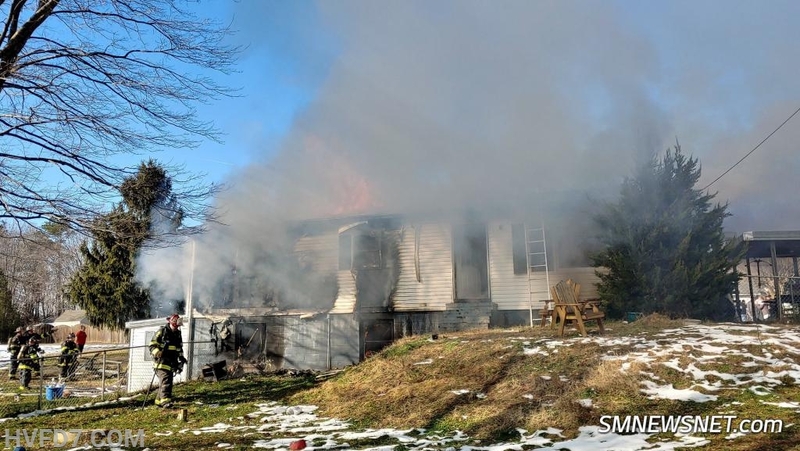 At approximately 1400 hours on January 18th, Station 7 was dispatched for a House Fire on Sandy Bottom Road in the first due. 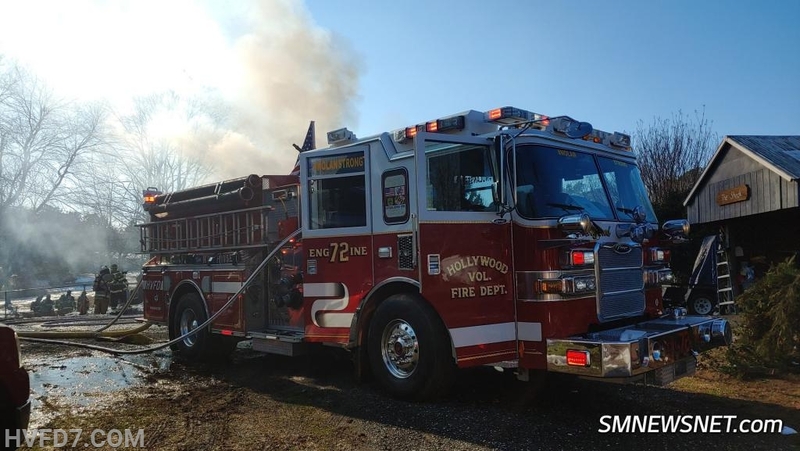 Engine 72, Truck 7, Rescue Squad 7, Utility 7, Brush 7, Chief 7, Chief 7A, and Chief 7B responded on the call with 20 Volunteers. Chief 7A was first to arrive to find a one story single family home with fire showing. Engine 72 arrived and stretched an attack line to the first floor but was re-directed to the basement. Truck 7 and Rescue Squad 7 arrived and assisted with fire attack and opening up. 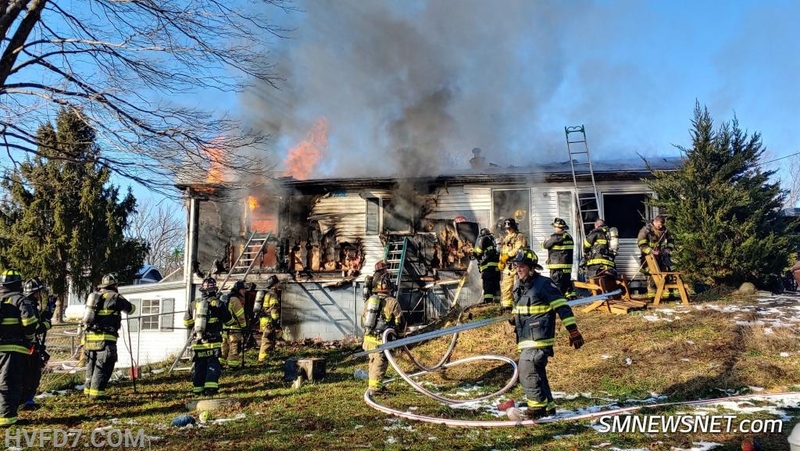 During the initial attack, the crew of Engine 72 declared a MAYDAY due to the first floor collapsing on top of them while operating in the basement. One member was pinned by a dresser but was removed by additional members operating on the handline. The MAYDAY was cleared within 2 minutes. Due to the collapse and MAYDAY, Command evacuated the structure to complete an accountability and regroup to attack the fire. 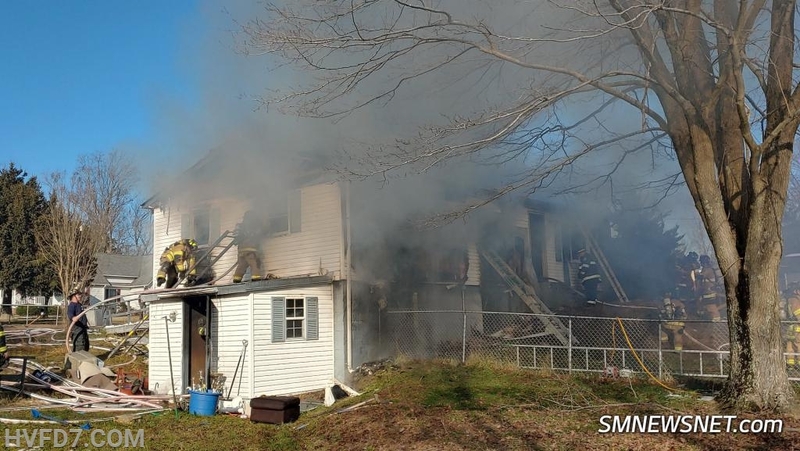 Crews found fire in the basement, first floor, and attic, placing several attack line in service interior and exterior. The fire was declared under control within an hour as crews continued to hit hot spots and perform overhaul. Two firefighters were evaluated on the scene with no transport. Chief 7A held the Sandy Bottom Command. Numerous Departments operated on the scene or Transferred during this incident. Thanks to all the Departments and Members that operated on this tough incident. Mechanicsville Volunteer Fire Department, INC.